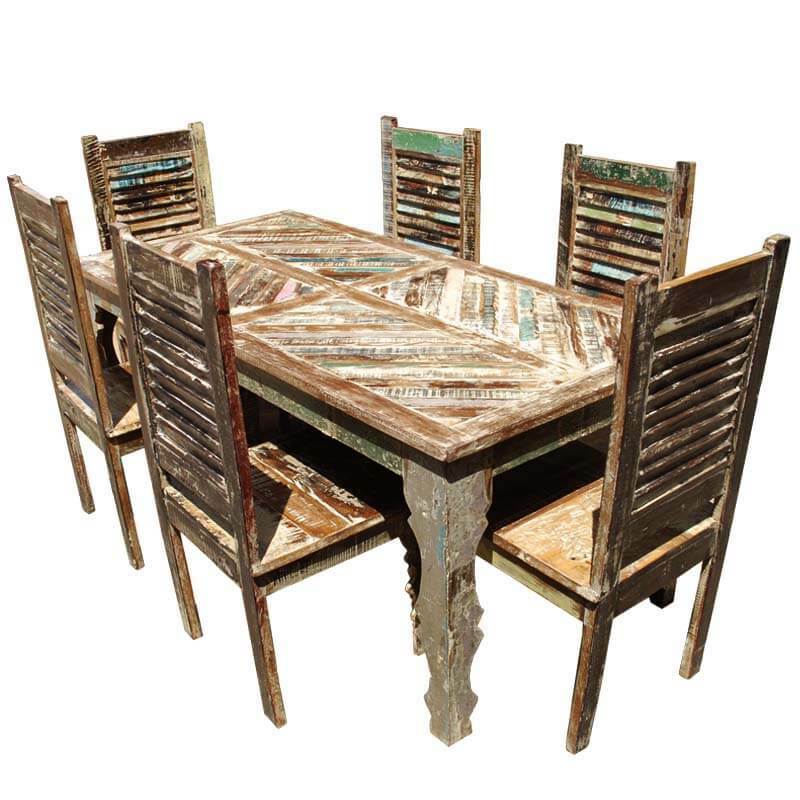 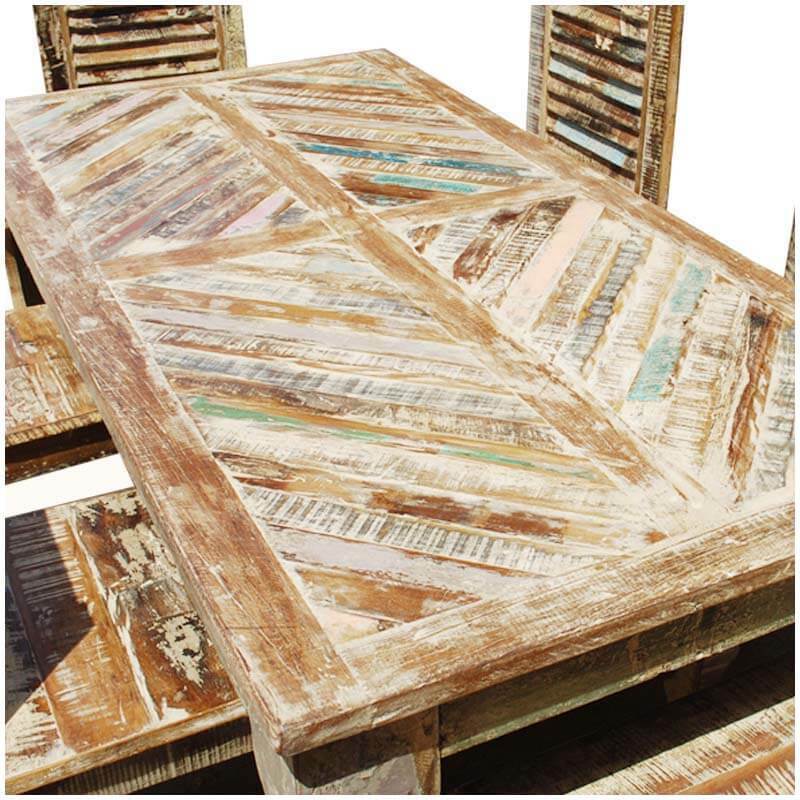 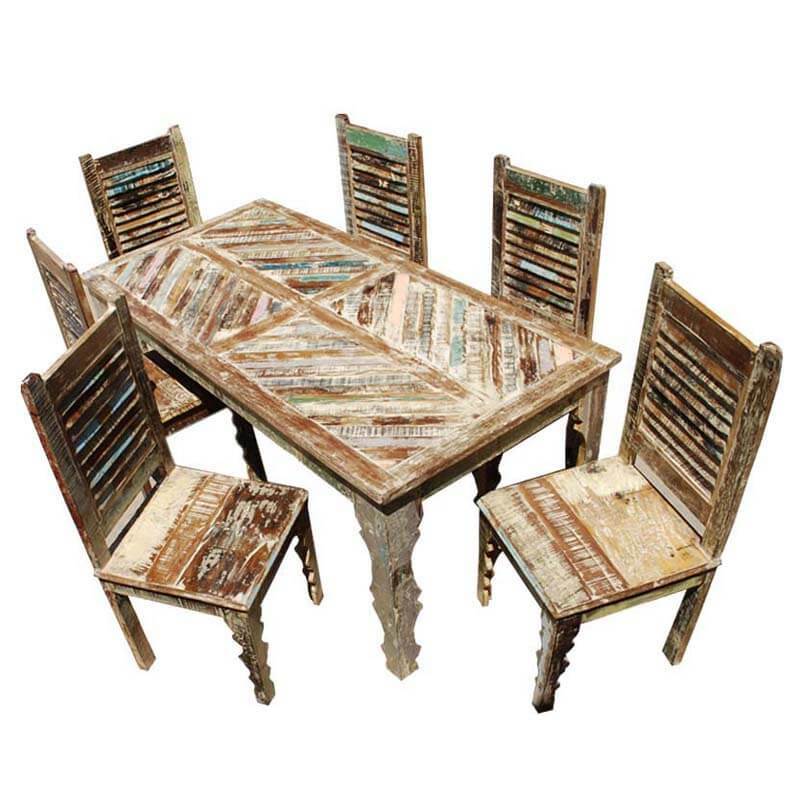 Bring the comfort of reclaimed wood and the friendliness of the farmhouse home with our Tucson Rainbow Reclaimed Wood Rustic Dining Table & Shutter Back Chair Set. 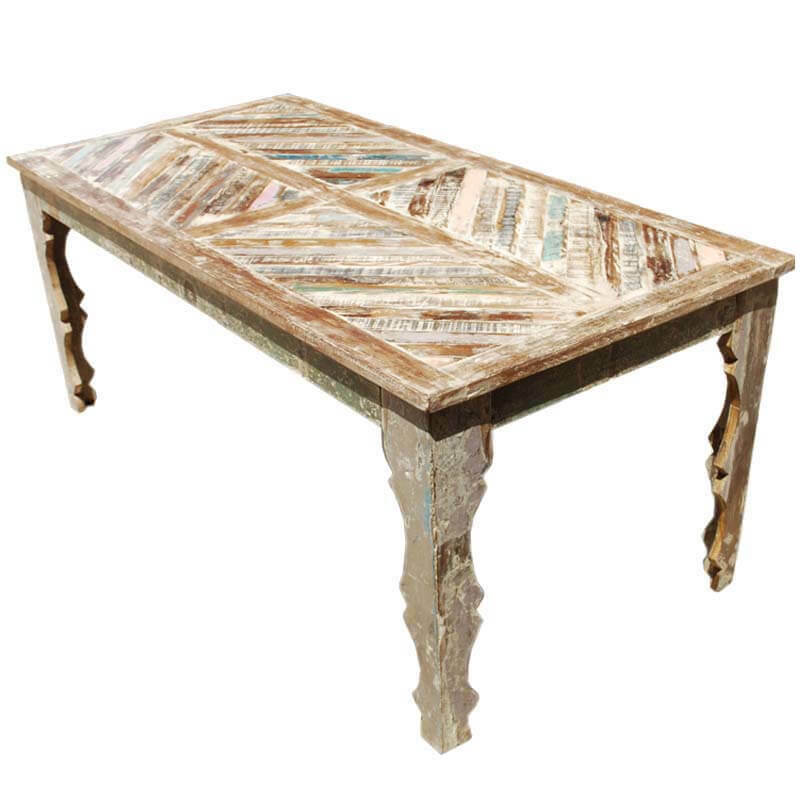 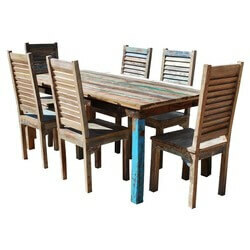 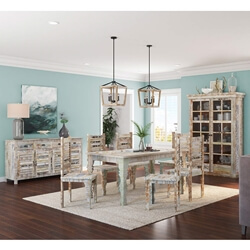 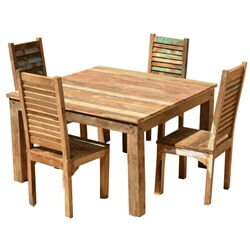 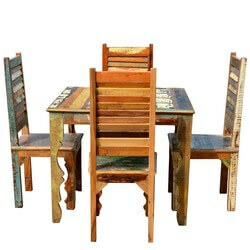 The rustic dining table and chairs are made entirely from hand-selected reclaimed hardwood. 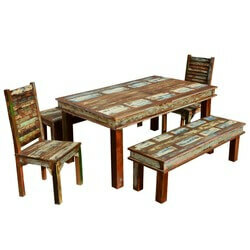 The dining table features a window pane table top with inlaid diagonal wood strips and sculptured legs. 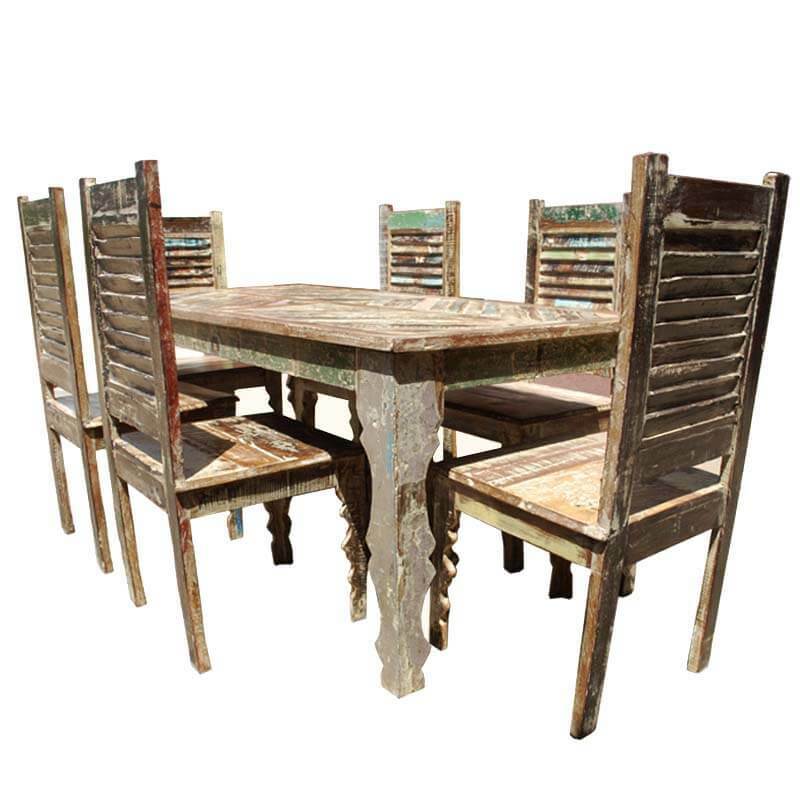 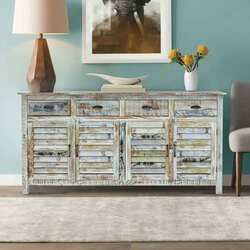 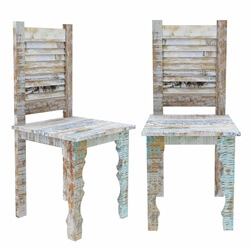 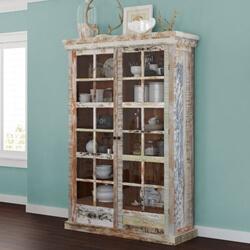 The chairs are built with a shutter or washboard styled back and decoratively cut front legs.